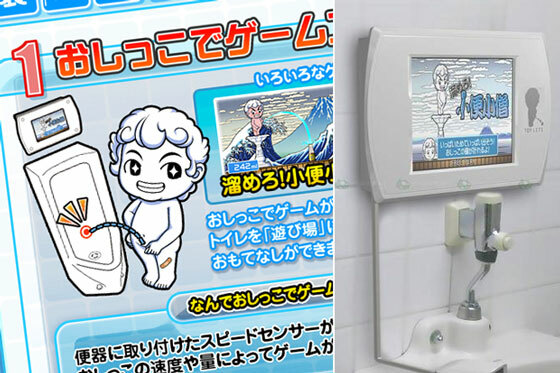 Sega has announced that it’s testing consoles called Toylets in urinals around Tokyo. The novel hardware asks the user to strategically vary the strength and location of his urine stream to play a series of games. Each urinal is installed with a pressure sensor. An LCD screen is mounted on the wall above, letting the gamer select from and play four different mini games. For now, Sega has installed Toylets in four Tokyo metro locations. The test will run through Jan 31.